Should I have all my boat identification numbers verified? If there are others you can be flexible and fair with, a boat partnership can be rewarding for everyone. During this time of economic challenges, it's hard to imagine that many of you out there are in a position to buy a new boat any time soon. 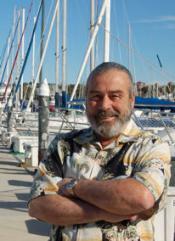 But there is one good solution for acquiring a boat, new or used, and that's by simply sharing the cost with a partner. Over the years, I have owned a variety of racing, cruising and fishing boats with partners, and without the benefit of sharing costs, it would have been extremely difficult for me to actually own a boat. In my experiences, a partnership is a good solution to help spread expenses, build fleets and keep boats that would otherwise be unaffordable. In my experiences, a partnership is a good solution to help spread expenses, build fleets, keep boats in use, and create teams and camaraderie. With a clear set of goals and careful planning, a partnership is easy to set up, and once you do so, I guarantee you'll get out on the water more often, and the boat will certainly enjoy more use-it doesn't do anyone any good (except, perhaps, your local diver) to have a boat sit idle at its dock or on its mooring. The most important element of this is joining into a partnership with someone you trust and know. Work out how each partner plans to use the boat. This can range from regatta to regatta (I prefer this), or month to month, or even week to week and would include any weekend cruises or weeknight races or tournaments. When two or more partners are on the boat at the same time, I've learned that only one person can be the skipper, and this needs to be agreed upon before leaving the dock. Once this is established, partners will naturally accept their roles and embrace them-they have to . . . it's what they agreed upon in the first place. The next step is to set up the boat's finances. One partner should serve as the managing partner, and all capital expenses should be shared equally. But the partner using the boat should pay for operations when they are in charge. Keep a joint checking account exclusively for the boat and for everyone's piece of mind, over fund the account in advance of expenses and never get behind on payments so the partnership has good credibility with suppliers, yards, and service companies. This will also build money in the kitty for the annual expenses such as insurance or the ever dreaded haul out for bottom paint. Also, avoid charging the boat fund for minor expenses, which can be an annoyance. Another issue is the level of maintenance expected. One partner may be anxious for a new topsides paint job, while the other needs to reduce expenses. Try to make these decisions ahead of any work being performed. Everyone needs to take the attitude that the boat will be left in better condition than it was found. If a piece of equipment breaks, get it fixed so your partner is not surprised when they take the boat out. Also, developing a checklist of annual chores with responsibilities assigned will take the guesswork out of who should be doing what. Regular boat work days should be scheduled so that everyone can participate. Consider placing the boat in ownership of an LLC or a Corporation. You can have subsequent buy-ins or buy-outs by selling shares of the LLC or Corporation rather than the boat and it's therefore not a boat for sale, it becomes a stock transfer and a nontaxable event. Partners of racing yachts might consider buying their own set of sails for racing. There are all kinds of customized pieces of equipment that are better owned individually, such as foul weather gear, a hiking stick, a GPS or wearable life jackets. Make a checklist of "boat" owned equipment, and "individually" owned items. Eventually, a time will come when the partnership must sell the boat. The best technique is to agree in advance how long the partnership will own the boat. If one person wants to sell, the other might appreciate a right of first refusal before the boat goes on the market. An independent appraisal by an accredited Surveyor will help establish the price. I suggest agreeing to a buyout scenario in advance and in writing to use as a guideline when the time comes to dissolve the partnership. Always place friendship ahead of financial considerations. Racing fleets are strong when there is good attendance on the water. Time on the water is limited by our fast paced lives. A partnership can keep a boat in frequent use. Again, this should be scheduled well in advance, with the goal of making sure the boat is raced in all events. If you see a lonely boat left idle on its trailer or in its slip, suggest to the owner that he recruit a partner so the boat will regularly join the fleet on the racecourse. I know several clubs that have formed committees to improve participation by encouraging partnerships. There can be unexpected challenges that will test the strength of the partnership, some big, some small. For example, one partnership I went into smoothly except for one small item. The money was no problem, or the use of the boat. And then we addressed the issue of naming our pride and joy. The list of potential names was long. We simply couldn't agree. Finally, we tabled the process for a few weeks. A mutual friend outside the partnership came up with a name for the boat. It was perfect, and the matter was settled by an outside party. Expenses are always an important part of the equation. Fraser continues, "It is important that the partners have the ability to comfortably match each other's budget." They split all expenses evenly, but if one partner sustains some damage on their own, then that partner take care of the expense of repair. Racing adds to the complication because the activity is competitive and there is considerable wear and tear on a boat. The first priority for most crews is winning. But every partner wants a share of driving. Sharing driving responsibilities may not be the best way to win races. The money side is relatively easy to work out, but it can be harder balancing time and effort. Inevitably at times, one partner will spend a great deal more time working on the boat, delivering the boat, etc. This can be a source of friction and needs to be talked through before it becomes an issue-another example of the need to be flexible. It's important to remember that the experience needs to be fun for everyone. Advance planning takes the guesswork out of who pays, or does the chores. Being flexible is important with a boat. A boat partnership is a great way to allow sailors to spend more time on the water at a reduced cost. I would be happy to discuss a Partnership Agreement that has worked quite well for my clients in the past; I can be reached on my cell at 949.240.2381. Remember; it is always best to get advice from both your attorney and your tax consultant before entering into any partnership.